Hungary’s GDP grew an unadjusted 0.9 percent year-on-year in the first quarter of 2016, the Central Statistical Office (KSH) has said in a first reading of data. The preliminary number represents a significant cool-down compared to the 3.2 percent annual growth figure recorded in the fourth quarter of last year. In a seasonally and workday-adjusted comparison, first-quarter GDP fell 0.8 percent from Q4 2015. In the last quarter of 2015 seasonally and workday-adjusted quarterly growth stood at 0.6 percent. According to KSH in the first quarter of 2016 services slightly increased GDP growth while industry represented a minor drag and the construction sector a major drag on growth. When accounting only with seasonal adjustments, year-on-year growth was 0.7 percent in the first quarter of this year and 3.1 percent in the last quarter of the previous year. KSH will publish a second reading of Q1 GDP statistics on June 7. Annual growth in Q1 was the lowest since the 0.4 percent decline in the first quarter of 2013 and the last time a sharper quarterly decline was recorded was in Q1 2012 when GDP fell by 2.3 percent quarter-on-quarter. 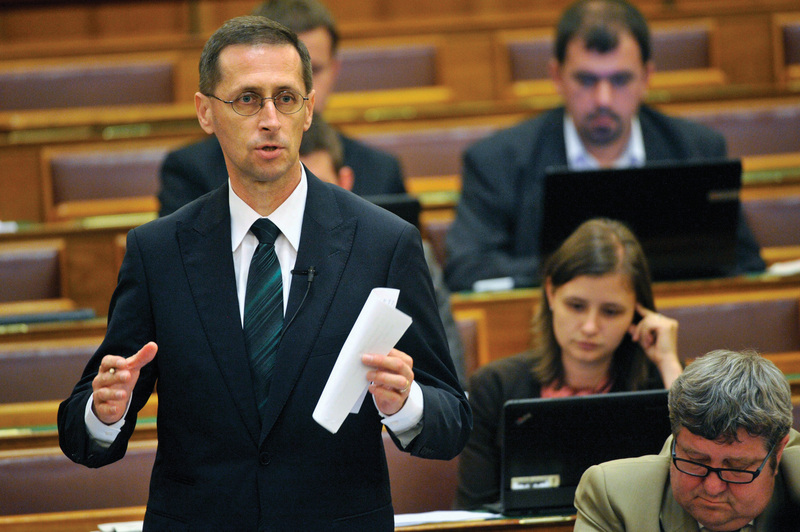 The lower-than-expected 0.9 percent economic growth in the first quarter this year is a temporary blip, Minister for National Economy Mihály Varga (pictured) said. Market projections for the first-quarter GDP growth were around 2 percent and the ministry expected 1.7 percent GDP growth compared with the same period last year. Varga attributed the slowdown to lower vehicle industry output and lower European Union payments. As against the planned 500 billion forints, only 150 billion-160 billion forints were transferred in the first quarter. Tenders were invited later than expected and this slowed down the scheduling of transfers, he said. Other data suggest the slowdown won’t last, according to the minister. The construction industry is generally growing, he said, with 60 percent more contracts and a doubling of building permits issued for new homes. And there were 145,000 more people with jobs compared with the same period last year. Varga considers the slowdown in growth temporary because new orders in the construction sector are rising, the number of home building permits issued in the first quarter doubled and employment figures are also up compared to a year ago. ING Bank analyst Peter Virovácz said the preliminary growth data is below even ING’s markedly pessimistic prediction. Industrial output has been surprisingly low in Q1 but with the recently announced fiscal stimulus growth in 2016 could be at 2.2 percent. K&H Bank chief analyst David Nemeth said the unadjusted growth figures are below expectations but seasonally and workday-adjusted figures are even lower, meaning they cannot rule out GDP growth falling below 2 percent this year. Takarékbank analyst Gergely Suppan said the growth slowdown should only be temporary and growth should pick up in the next quarters. Takarékbank has predicted 2.5 percent growth for the year but they might be forced to revise it lower because of the Q1 data. Analysts at CIB said the first-quarter GDP data are significantly lower than even the most pessimistic market predictions. They will wait for the second, detailed batch of data before modifying their forecast, but the preliminary data suggest economic growth could fall below 2 percent this year. Hungary can maintain slow economic growth that is of a medium rate in a regional comparison for now, thanks to European Union subsidies and improvement in terms of trade, former central bank governor György Surányi has told the daily Népszabadság. Surányi said the current rate of growth, however, will lead to the country lagging behind in the longer run. Central banks’ monetary policy in the past 15 years have sided with goals and tools that did not serve the country’s economic interests, he said, adding that the past three years have seen some improvement after 12 years of “mistaken policies”. Next to budgetary and incomes policies that bore prime responsibility for the “dangerous decline” in the economic-financial balance in 2006, monetary policy had also contributed. 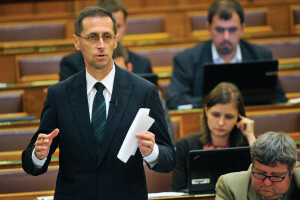 This near-crisis situation was not handled well in the following period, when the global crisis made its serious and inevitable impact, Surányi said.